It’s been a slow start of the new SMART Green Program for purchasing equipment (50% of its cost up to $200,000). It was launched in October 2016, yet the program has not approved any major application. The reason is not only in the complex application process that requires engineering pre-assessment, but also in certain misconceptions about the program. 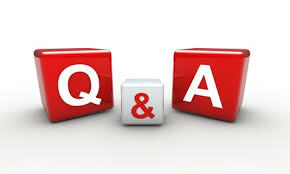 Let me demystify the program in short Q&A below. Question 1. Our existing and proposed new equipment is electricity-powered and we do not emit greenhouse gasses (GHG). Is the project eligible even though the program requires to reduce GHG emissions? Yes, the project may be eligible. Even if you use electricity only, there is a certain share of GHG emitted. If the project results in significant reduction of electricity use, it may be eligible. It is all the matter of how much electricity you anticipated to save. Similarly, if you use other energy sources like natural gas, diesel, kerosene or coal (coal, really? 🙂 ), or any other type of GHG-producing fuel AND your project is supposed to reduce the energy consumption, the project may qualify. Question 2. What if we don’t replace equipment, but add a new piece of production machinery and actually increase our electricity, gas or other resource consumption? Do we qualify? Generally speaking yes if the energy savings are significant enough. The program assesses the reduction of energy use per facility OR per production unit. Simple example. Suppose you have 4 machines that together consume 10,000 kW/h a year each. Now you add a 5th one that consumes only 2,000 kW/h. Your total consumption is 12,000 kW/h per facility but it is 2,400 kW/h per piece of equipment, down from 2,500 kW/h before the project. If you then multiply the savings by the lifetime of the new machine (15-20 years) and by the GHG share in electricity (or another source of energy), you may get significant emission reduction and qualify for the SMART Green Program. Question 3. How do we know if the energy savings are significant enough?.. and… How do we get started? No worries, we’ve done in-depth analysis on your behalf digging through the SMART Green Program’s documentation, calculations and asking questions to the program management. As a result, we’ve come up with the way to determine the eligibility of the project in terms of GHG emission reductions with a relatively high degree of accuracy. How many existing pieces of equipment do you have? Do you intend to replace old equipment with a new one? If so, how many old pieces are you replacing? What is the resource consumption of the existingequipment altogether annually? Send overall facility consumption if unknown. If applicable, what is the resource consumption of the existing equipment you intend to replace? What is the anticipated resource consumption of a new piece equipment annually? What is the anticipated lifetime of the proposed new equipment? What is the cost of equipment and installation? We will get back with the result of eligibility check within 2 business days.